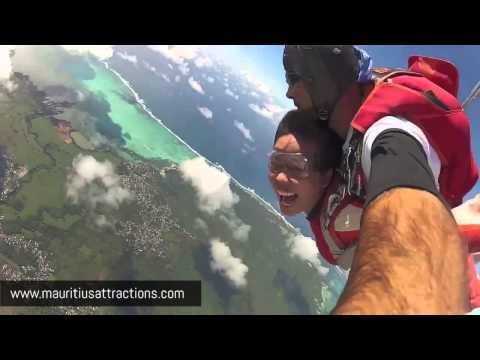 You will get to experience a 10,000ft skydive in Mauritius paradise island. 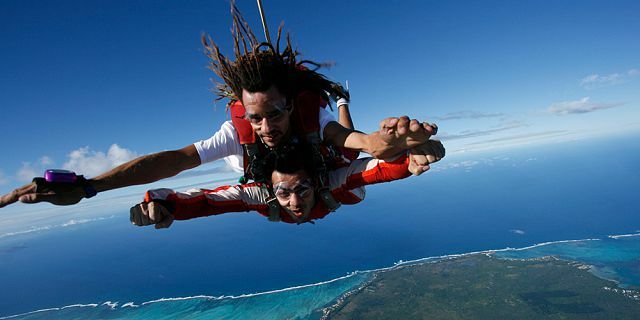 Enjoy Mauritius' most spectacular scenic flight and the most visually awesome Tandem Skydive you can ever imagine. 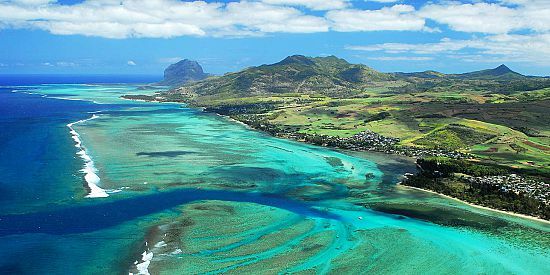 The flight before the jump offers a complete 360º bird’s eye view of Mauritius's awesome coastal, inland and mountain scenery. 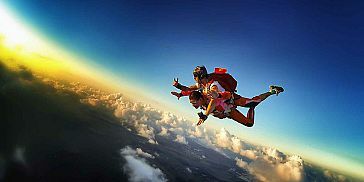 Then, in the open air you will experience flying – free falling for about half a minute reaching a speed of 200 Km/hour, before the instructor will open the canopy and you will get to glide down in air for about 5 minutes, seeing the beautiful surroundings on your way down until the safe landing. 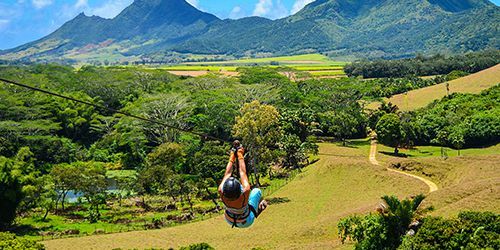 The take off is done from the magnificent Sugar Fields of Mon Loisir, with views of Mauritius’s stunning lagoons and reefs stretching far into the Indian Ocean. This is your once in a life time chance to fly over the top of one of the most spectacular island paradise's in the World. 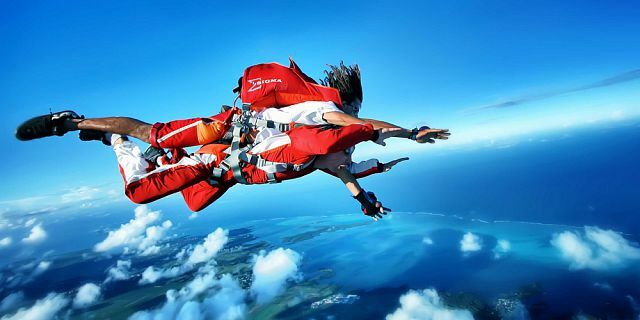 The total duration of the skydive excursion is about 1 hour, with a 5-10 minute brief, a 25 minute flight to 10,000 feet, a 30- second free fall and 3-5 minute parachute flight. 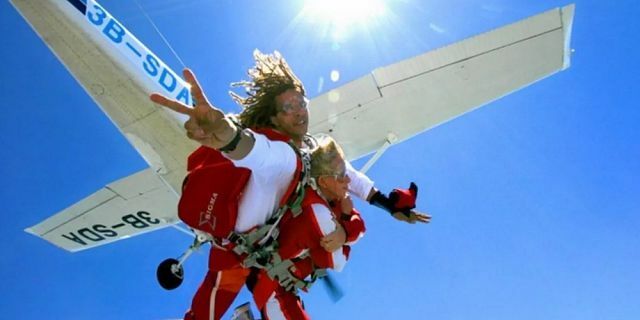 After the jump you will receive a tandem skydive certificate, so you can remember this great experience for many years to come. 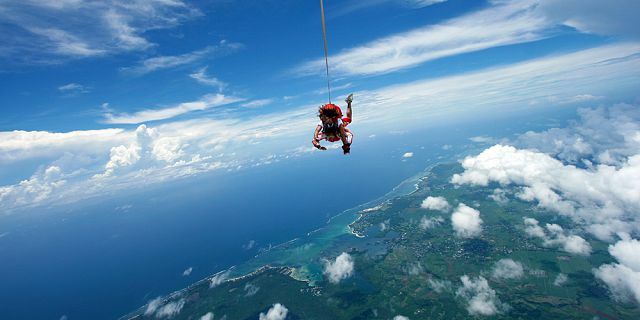 Also, for a small additional cost you will receive a pendrive with the recording of your skydive. 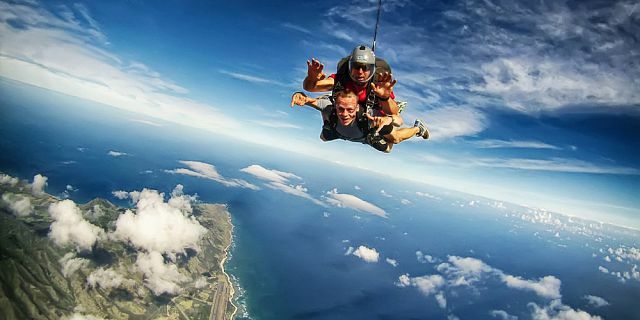 What is Tandem Skydiving? 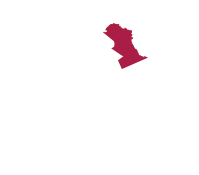 Tandem skydiving refers to a type of skydiving where a student skydiver is connected via a harness to a tandem instructor. 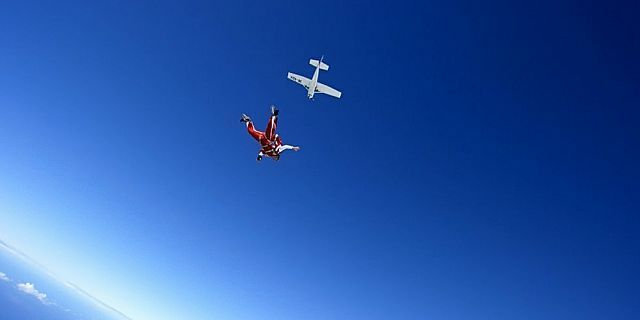 The instructor guides the student through the whole jump from exit through freefall, piloting the canopy, and landing. The student needs only minimal instruction before making a tandem jump. 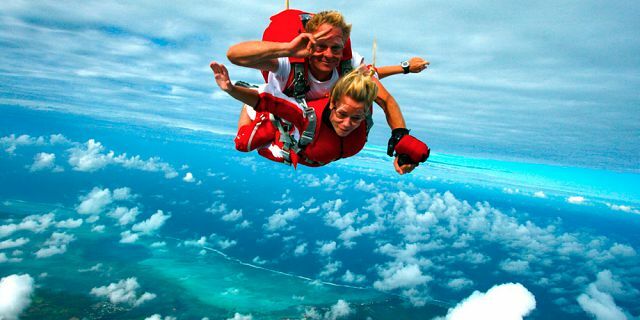 Tandem skydiving is a very popular training method for first time skydivers. 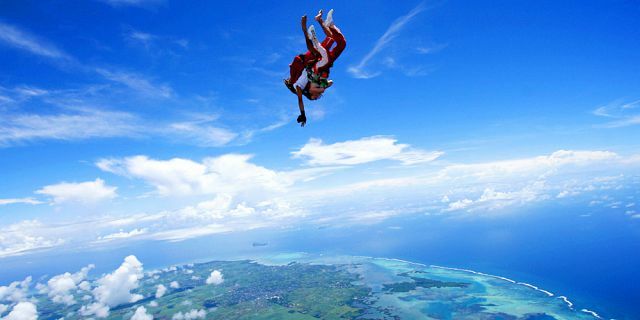 It exposes first-time jumpers with minimal training and experience to skydiving. The training before the jump may consist basic training of how to exit the aircraft, how to do maneuvers in freefall, and how to deploy the main canopy themselves. However, the tandem skydiving instructor remains primarily responsible for safe and timely parachute deployment. For first time jumpers it is always recommend having a small bite to eat shortly before your jump to maintain your blood sugar level at reasonable level. Will I need insurance? No need for any special insurance. The registration for your jump will automatically cover you for the mandatory Third Party Legal Liability Insurance. I wear spectacles / contact lenses. Will this be a problem? No problem at all. Goggles to fit over spectacles are provided, and these will securely retain your spectacles in place. 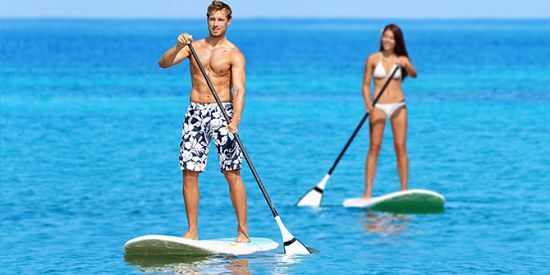 The Goggles also protect contact lenses and prevent them from being displaced or damaged. What if I feel too excited to jump on the day? Quite naturally, you will feel apprehensive before you arrive at the airfield. Once at the airfield, you will meet the qualified guides and receive a pre-jump briefing so you will know exactly what to expect for. Very soon your confidence will grow and by the time you board the aircraft, you will feel ready! Many people comment on how calm and relaxed they feel! 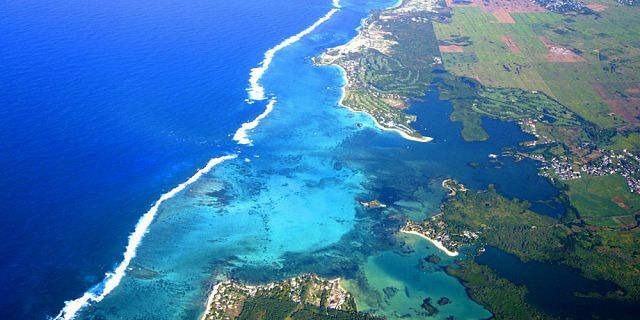 The flight itself is about 20 to 30 minutes duration and the views on a clear day are magnificent. Even better from outside the aircraft! 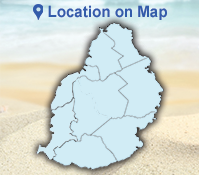 This activity can only be carried out if weather conditions permit. The operator reserves the right to reschedule the activity should safety be compromised. 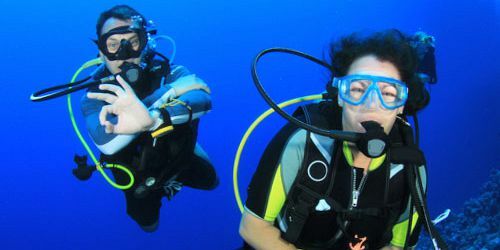 If participants have scuba dived 24 hours before the sky diving activity, they need to inform the operator. Skydive Pendrive – you can also choose to have either pictures or videos of your Skydive saved in a Pendrive for an additional charge as from Rs 5,500. The booking and payment for the Pendrive should be done at the airfield before the jump.